Q&A: What Is The Best DSLR Camera Under $500? We have done the research to find the best DSLR camera under $500 and have determined the Sony a5100 is the model to buy based on its advanced autofocusing system, high portability and excellent image quality. 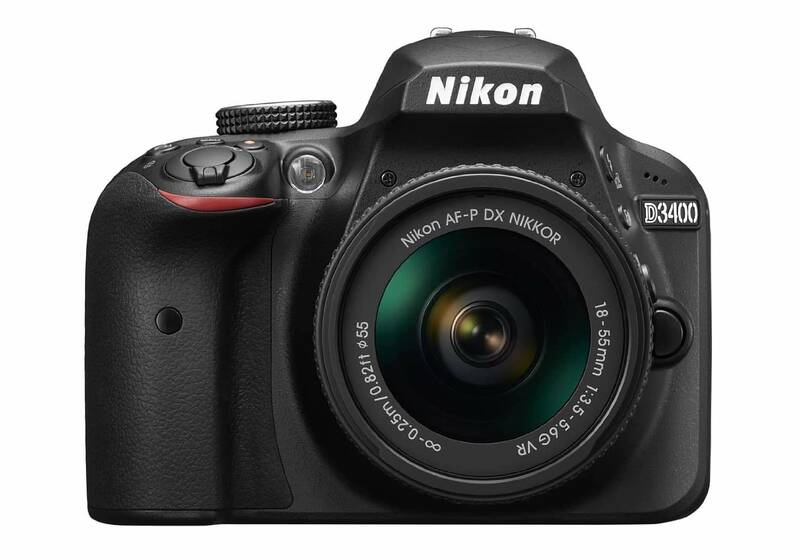 Our runner-up and best traditional DSLR goes to the Nikon D3400 which is an excellent beginner camera that offers a great design, feature-set and performance from one of the most reputable brands in the photography industry. Those looking to get their first DSLR camera on a tight budget might want to check out the Yi M1 which is an affordable mirrorless model which offers excellent photo and video performance in a small form-factor. The best mirrorless camera model under $500 offering stellar autofocus and 1080P video up to 60fps. While not a DSLR, the mirrorless revolution is quickly overtaking traditional digital photography and video. Sony's A5100 model offers competitive specs in a small form-factor perfect for travel or "on the go" shooting. A traditional DSLR from a reputable brand offering competitive specs at a low price. With a true DSLR design, the D3400 is a solid option for those who don't wish to upgrade to mirrorless technology. You get a lot of resolution with the 24MP sensor and 1080P video up to 60fps. The cheapest model on this list, but the only one to offer 4K video. YI may not be a household name, but they are well-known for their innovative action cameras. 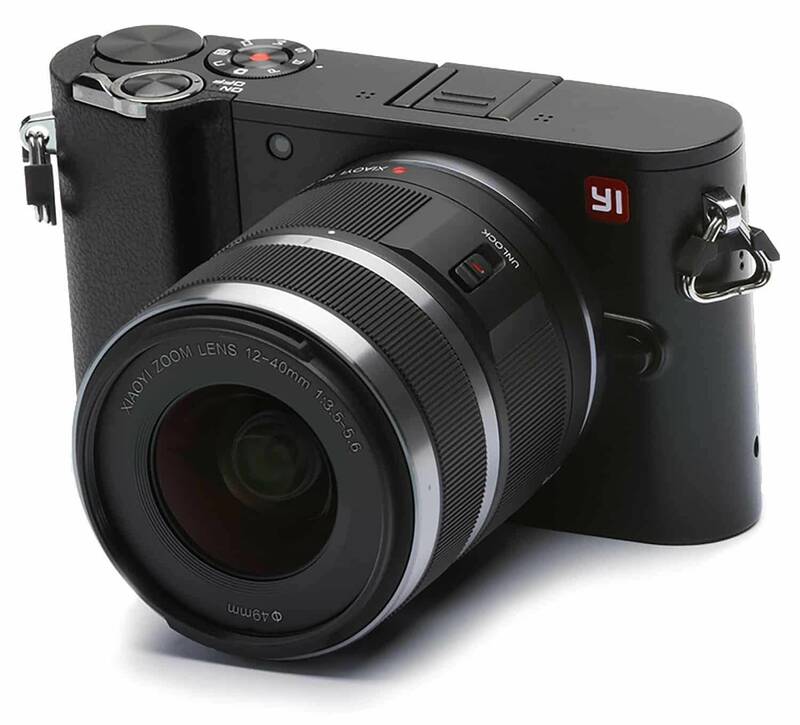 Their M1 takes the advantages of mirrorless technology into a small form-factor and budget-friendly price. Photography 101: What Is A DSLR Camera? Can Beginner DSLRs Shoot Video Too? Should My First Camera Be A New Or Used Model? In the rest of this article, we will share our vast knowledge of the camera industry for your benefit. This includes insight on which models to consider in your search along with some basic photography and camera concepts and questions to clear up any confusion. Since this is an article catered to beginners, we will going to mention DSLRs that you can purchase that comes with a kit lens bundled. We understand most of you don't already have an arsenal of lenses in your gear bag as we do thus buying a camera under $500 as a body only won't do you any good while staying within your budget. Our website is designed to help consumers like you with expert reviews, tips, tutorials and guides that assist you in choosing the right product or service for your needs. Keep in mind, this article does use affiliate links with retail partners which may earn us a small commission if you were to purchase a camera from our links to help keep the lights on and provide more great content for you to access free-of-charge. Rest assured this will never affect the integrity of our content and you'll pay no extra amount (our cut comes from the retailer's profit margin). While we worked hard to cover this topic as in-depth as possible, you may have some additional comments or concerns. If you need further clarification or have a question related to beginner photography or entry-level DSLRs, use the comments section below, and we'll do our best to follow up promptly. 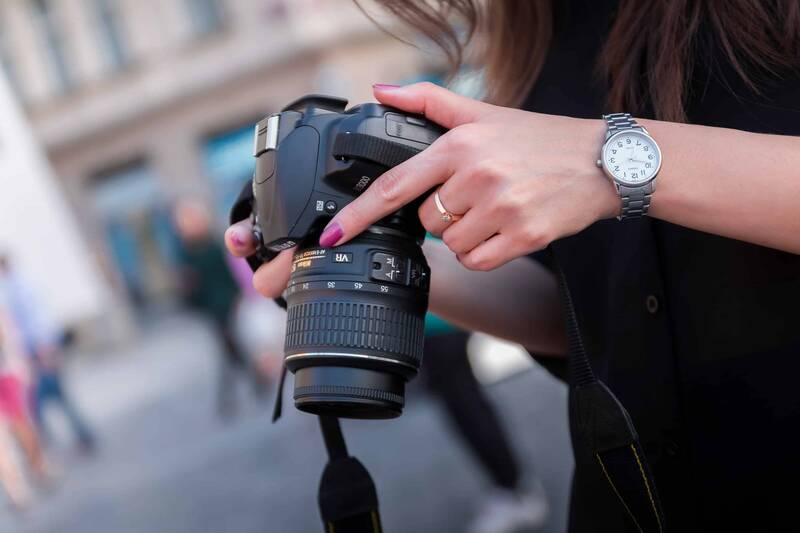 If you are looking for a DSLR camera at this price-point, chances are you are likely brand new to photography or moving up from shooting stills on a mobile device or point-n-shoot. Either reason is perfectly acceptable, and you have come to the right place to let us help you on your journey. To start things off, it is beneficial to understand what a DSLR camera is. Traditional SLR camera technology has been around for many years and requires film to function. The more modern DSLR stands for digital single-lens reflex camera and thus relies on digital data storage on memory cards instead of film. The 'single-lens' terminology comes from the idea that with the reflex design, light travels directly through the lens with a mirror that reflects the image to the viewfinder or sensor. Due to this design, you can see your subject through the viewfinder without needing a dedicated (and separate) lens for framing your shot. While DSLRs have held their dominance of the consumer and professional photography market over the past few decades, a new technology is quickly swooping in. Mirrorless cameras are on the rise, often offering competitive specs at lower prices coupled with smaller form-factors. As companies like Sony, Panasonic and Fuji innovate the industry through their new mirrorless models, the iconic names like Nikon and Canon are quickly falling behind resulting in loss of market share. Among the photography community, the debate between the two systems is much like the Android/iPhone discussion in that there isn't a clear winner as everyone's needs and preferences are different. How does DSLR technology differ from mirrorless? Well as the name kind hints, it doesn't utilize any form of mirror system to operate. Instead, the design allows light to pass through the lens directly onto the sensor. While it has many advantages, the biggest is that you have an electronic viewfinder that can preview your resulting image including depth of field and exposure prior to taking the shot. At this price-point, there isn't a ton of mirrorless options as the technology is so new compared to DSLRs, but this will change as more manufacturers adopt the concept. Once you rise above $500, you'll find many highly competitive mirrorless cameras priced under $2-00 of which rival DSLRs more than double the cost. For a little background on my thoughts on this debate, I started my photography journey investing in Canon DSLRs which ended up being an excellent platform for me to learn the basics. As I got better and had more money to invest in gear, I upgraded through several DSLRs. A few years ago, we sold all our Canon bodies and purchased a Sony a7RII for my photography and Panasonic GH5 for video shooting. The great part about mirrorless cameras is you can use DSLR lenses on them with an adapter so we could make the switch while still keeping all my Canon glass! Many people consider DSLRs to be still cameras only, but the truth of the matter is that DSLRs are being used for video often. Similar to photos, mirrorless models are also invading the videography space offering more video-centric functionality due to benefits of an electronic viewfinder and lack of relying on a mirror for operation. However, the quality of video that you'll have at your disposal from a $500 and under DSLR or mirrorless will be mediocre at best. Due to this, you might be better off using your phone or mobile device as the latest iPhones or Android devices pack innovative features like 4K video or slow-motion HD recording that will look better than a dedicated camera in this price-range. 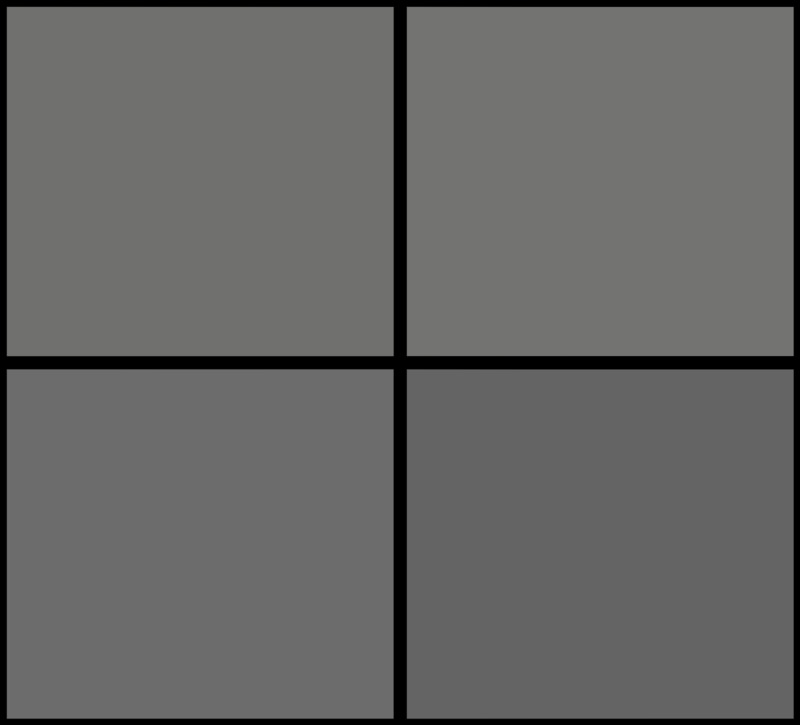 Sensor size - there are three primary sizes which differ in cost and performance: full frame, crop sensor, micro four thirds (MFT). 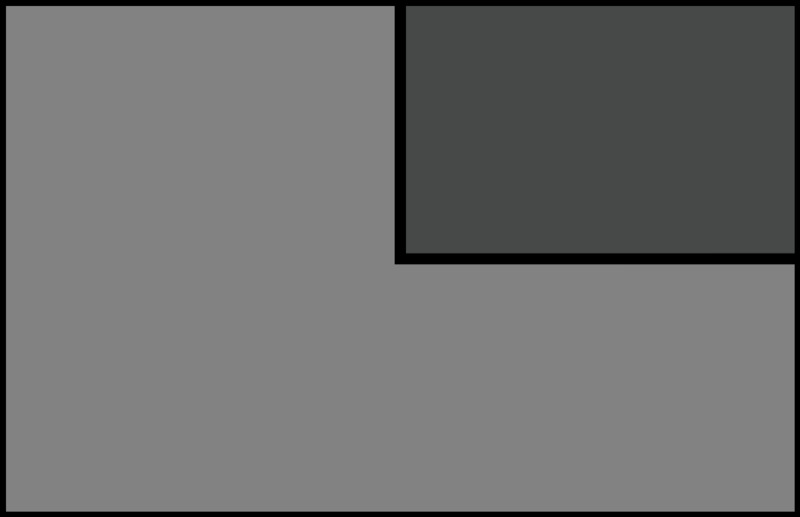 Megapixels - higher count means larger image sizes and the ability to crop further without pixelation. This does not equate directly to image sharpness as that is more dependent on the quality of the lens. Lens mount - each manufacturer relies on a proprietary lens mounting system in the exception of Micro Four Thirds which does offer a native mounting solution among brands. Video resolution - when shooting video, you'll want to know whether the camera is capable of capturing a maximum resolution of HD (720P), FHD (1080P) or UHD (4K) as this helps to determine overall video clarity (combined with a sharp lens). Additionally, the frames per second or fps will tell you whether there is potential for slow-motion recording. Autofocus points - in most cases the more, the better although not all autofocus is the same as different types of AF points can perform greater than others. Wi-Fi - not a complete necessity, but a beneficial perk that allows remote control and image transfer via a compatible mobile device. When mirrorless technology took off in the mass market, Sony was one of the companies who's imaging department reaped the benefits. While Sony did produce DSLRs, they struggled to live up to their Canon or Nikon competitor while their mirrorless lines are surpassing them with ease. 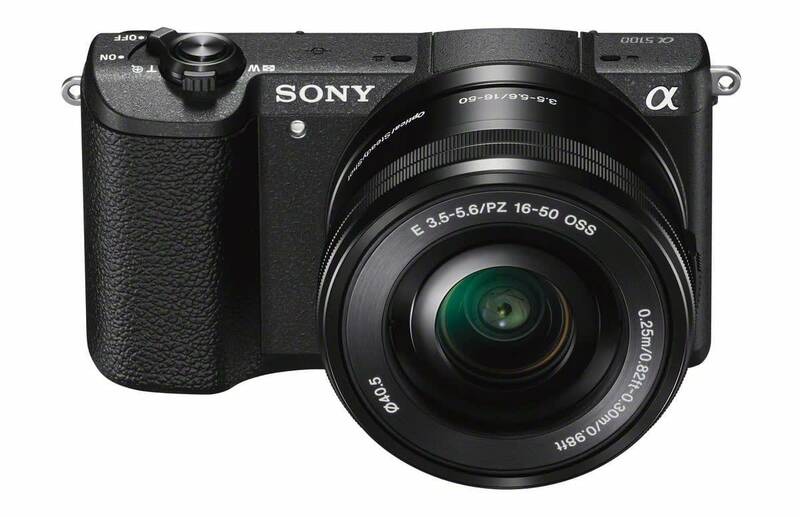 The a5100 is the most entry-level you can get in their Alpha mirrorless line-up, but that isn't to say it is a lousy camera. In fact, when you compare the overall specifications form the a5100 to any of the other models listed in this article it is the clear winner. Its most notable attributes beyond the small form-factor of the a5100 would be the stellar 179-point AF system which uses phase detection technology. Additionally, the 6 fps burst shooting makes this an affordable option for shooting sports or high-action subjects. Nikon's D3400 is the fourth iteration in their D3000 line-up, so they have had plenty of time to work out all the bells and whistles. This model offers some competitive specifications like a 24.2MP crop sensor, EXPEED 4 image processor and the removal of an optical low-pass filter which helps capture finer detail. Nikon's F mount is highly versatile with plenty of the brand's NIKKOR lenses available for achieving all types of shots. The 11 autofocus points gives the system plenty of traction for producing optimal focus on your subject and tracking as they move about the frame. Lastly, this model offers advanced features like 1080P video recording up to 60 frames per second. Instead of Wi-Fi connectivity, the D3400 harnesses SnapBridge Bluetooth connectivity which uses a low-power Bluetooth connection to transfer images between your DSLR and your mobile device in a simple manner. 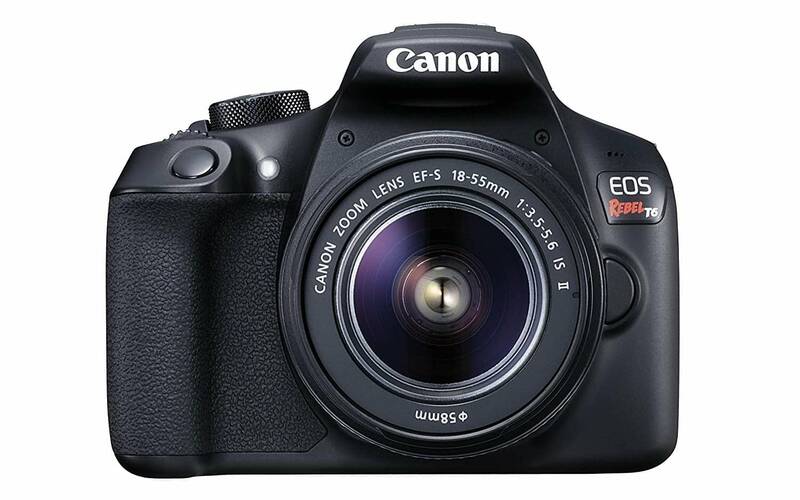 The Rebel line has been highly successful for Canon as an affordable and easy way to learn DSLR photography. In fact, my first ever DSLR was Canon's Rebel T3i and some of my favorite photos were taken with that camera. Their T6 DSLR follows the Rebel line with a focus on performance without getting too inundated with unnecessary bells and whistles. Canon coupled their 18MP sensor with a DIGIC 4+ processor which allows the capture of quality photos in an efficient manner. Nine points of AF isn't incredible by most standards, but more than enough for beginner photography especially for shooting stationary subjects. Lastly, the T6 offers built-in Wi-Fi and NFC support for mobile connectivity of which Canon makes one of the most user-friendly camera apps. While we already mentioned Nikon's D3400 in this article, the D3300 is still a great option to consider as it shares much of the same design and features as its newer sibling. From a cosmetic perspective, it looks very similar with a slight increase in weight (only 35g). 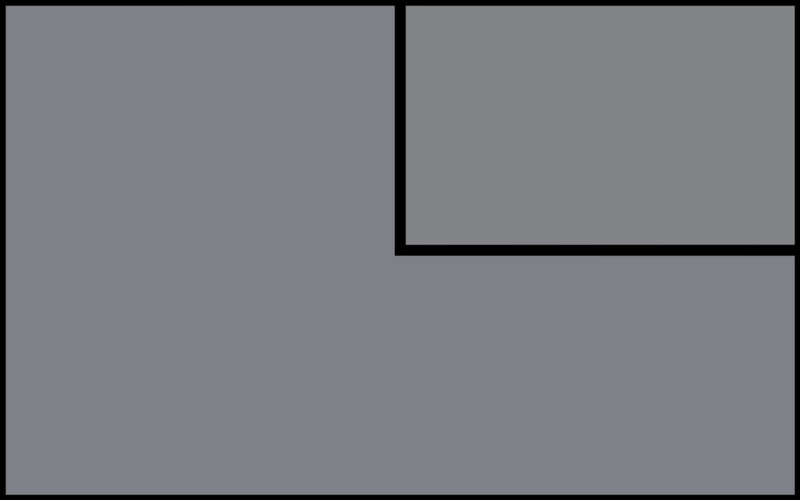 Aspects such as the sensor, AF system, rear LCD screen, and viewfinder remain the same between the two models. The D3300 still offers a microphone input for video shooting whereas Nikon removed it in the D3400. The battery life, max sensitivity (ISO) and Wi-Fi support are better on the D3400. 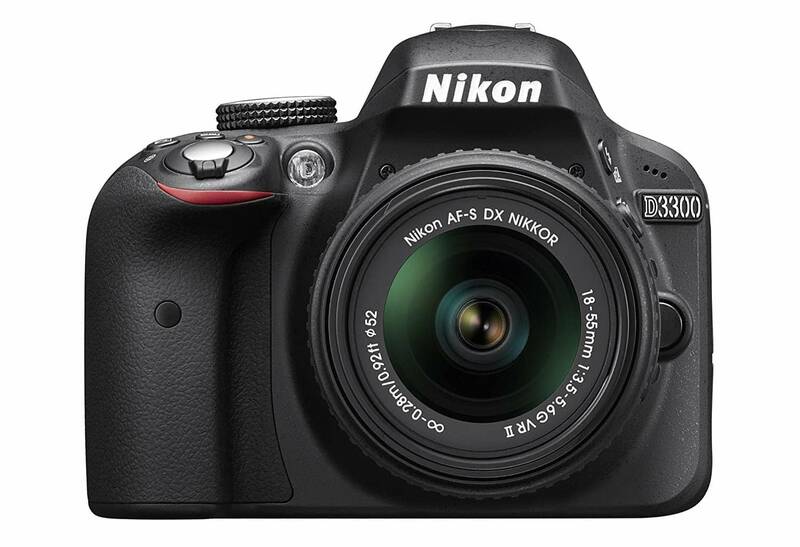 The D3300 can utilize Wi-Fi connections although you need to purchase a separate USB adapter (from $149.00 on Amazon) and deal with the added bulk. Most of this list consists of brands that have been involved in the photography industry for decades. YI breaks this mold as newer Chinese electronics manufacturer breaking ground in the digital imaging market, and are most known for their affordable action cams that rival GoPros at a fraction of the cost. The M1 is a mirrorless camera that utilizes Sony's latest IMX269 sensor with an MFT mount. The body is compact and simplistic with only two physical buttons and a 3-inch touchscreen on the rear. The AF system uses contrast-detect with 81 focus points to provide excellent tracking. YI designed the M1 to offer integrated Wi-Fi and Bluetooth support for mobile connectivity. Video shooting is the best on this list with capture at 4K (up to 30 fps) in addition to 1080P (up to 60 fps). Lastly, the YI is one to consider primarily due to the affordable price-point. The M1 alone with the kit 12-40mm f/3.5-5.6 lens sells for $299 yet you can opt for the two lens bundle which adds the 42.5mm f/1.8 for just $379.99. If you are buying a gift for a friend, girlfriend or family member, then you will most likely be buying a new camera. However, if you are purchasing one for yourself to learn photography, then you might as well consider the option of buying a used model. You can find higher-end models that retail for much higher as pre-owned for under $500. Entry level DSLR/mirrorless models sell more units due to their low price so there are more of them in existence and thus more of them on the used market. Many times you can find a used model that is in excellent condition with little use or wear at a significant discount since it is 'open box' or pre-owned. Most people who purchase a beginner DSLR or mirrorless body will know that their lenses should long outlive the camera body especially for an entry-level model which often gets upgraded sooner than later as your photography skills further develop. For reference, I have purchased used DSLR/mirrorless cameras, lenses and accessories in the past and haven't had a bad experience yet. However, it does require further research on the product, seller, and condition to make sure you don't get burned by a scammer or buy a broken item. Now comes the next question when considering a used model, where can I find the best deals on used cameras? Amazon (used) - you probably assume Amazon is only selling new cameras, but it is possible to buy pre-owned, open box or refurbished DSLR/mirrorless cameras through their third-party sellers. You now know where to find used cameras, but what models should you consider buying used for under $500? There is always a larger risk for buying used as you have no return period or warranty to fall back on. However, if you choose the right used camera, then you'll be able to score enough savings to make it worth the risk. We wrote this article for your benefit so feel free to comment below if you have any further questions, comments or concerns. While we ultimately think Sony's a5100 is the ideal choice in this budget for most people, free to share which model you ultimately bought as other readers would also like to hear further help them decide. Buying your first DSLR camera doesn't have to be stressful or overly confusing. If you made it this far, you should have learned much of the basics of entry-level cameras including what features to look for, whether to buy new or used or which model models to consider. I hope that this article helps to make your search for the best DSLR camera under $500 more successful! Hey i’m wondering if i should grab the d3400 or canon t6 for daily vlogs? I’m quite new with dslr so i’m quite confused after reading an article from Sleeq Tech. The writer is talking too much about the similarities among both. The title and context is contradicting. Since im here what’s your advice if i’m planning to use it for daily vlogging? Anyone? Save up for a new or used Canon 70D. The 80D is the newer version, but the 70D has been the standard for vloggers over the past few years and you can get a used one for under $700 with a lens included on eBay or Craigslist. Was doing sem-pro photog 30 years ago. My neat OM1-D settup with several lenses and motor drive, now down the toilet… looked at a new DSLR body & old Olympus lenses lenses but there would be no AF and a number of other problems. Thanks for a GREAT article! Looking at the Rebel and maybe the Nikon 3400. I love this review. Been trying to check other articles on the “Best DSLR camer under 500” and I think I’ll settle with this review. I love Sony cameras, simply because, it’s mirrorless, and after having to experienced Canon, Nikon and Sony cameras, somehow Son exceeds all other camera in terms of result. Thanks for this detailed review. Thanks Bethzy, glad you found this article helpful! We do think Sony’s mirrorless models are the way to go in the current market and their a5100 is an excellent DSLR alternative for under $500.